•	Allow 1-2 hours for the Initial Consultation and Assessment. This amount of time is typical in order to perform a complete dilated exam as well as any other diagnostic testing that may be needed to help diagnose and treat your condition. •	Vision may be blurry and sensitive to light for 2-3 hours following diagnostic procedures and instillation of eye drops. Sunglasses will help. •	If possible please do not drive after the Dilating drops. Please plan your visit accordingly. 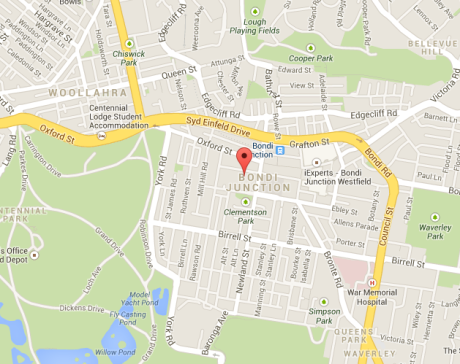 Our rooms are located in the centre of Bondi Junction. We are located in office building with lift access for wheelchair/ mobility bound patients and those with prams/strollers. Our practice has the latest in state-of-the-art equipment in clean and comfortable surroundings. Our consulting rooms and visual testing are based to allow easy access to services and streamlining our same day services. Emergency appointments are available on request. Public Transport Buses and trains terminate one block from our building . Parking available in Eastgate Shopping Complex in Spring Street – Walking distance to our practice also there is parking available in Westfield Bondi Junction. Both these locations are only a few minutes’ walk from the practice. We strive to distinguish our practice through our commitment to our patients and our community. We are committed to our patients in the Sutherland Shire and have now opened a new state-of-the-art facility in Miranda, located at Suite 1, 32-36 Urunga Parade, Miranda 2228. We pride ourselves in delivering the highest level of care, combined with the same level of outstanding service that has grown our Bondi Junction practice. Our new Miranda practice will be built on integrity, experience, innovation, and a commitment to excellence in every procedure we perform in delivering the latest treatments and surgery for cataracts, vision correction procedures, AMD, and strabismus. 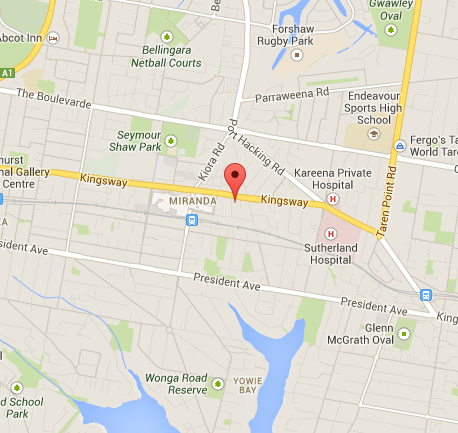 Our rooms are conveniently located close to the central Miranda area. Our practice has the latest in state-of-the-art equipment in clean and comfortable surroundings. We are located in a stand-alone building with level access for wheelchair / disabled patients and those with prams/strollers. Our consulting rooms are designed to allow easy access to services.